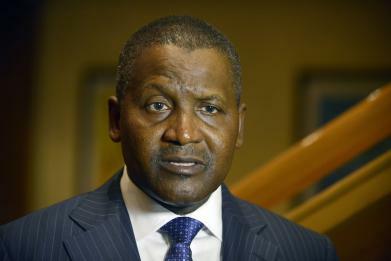 The head of Africa’s largest cement producer, Aliko Dangote has built his substantial fortune upon solid foundations. But these could be shaken following the Panama Papers leak, which involved the disclosure of 11.5 million confidential tax documents from Panamanian law firm Mossack Fonseca. Dangote has become one of several high-profile Nigerians— including Senate President Bukola Saraki and disgraced former Delta state governor James Ibori—to be implicated in the leak, which exposed how the world’s rich and famous use offshore facilities and shell companies to hide their wealth. The use of offshore shell companies is not necessarily illegal but is often a tactic employed to avoid paying tax. Ranked as Africa’s richest man by Forbes in 2015 and currently worth an estimated $17.3 billion, Dangote—the chief executive of the Dangote Group—has been closely linked to at least four offshore shell companies—and as many as 13 through his family and business associates—according to Nigeria’s Premium Times, a reporting partner of the International Consortium of Investigative Journalists, which broke the leak. According to Premium Times, Dangote along with his half-brother Sayyu Dantata, both bought shares in 2003 in Ovlas S.A., a shell company registered in the Seychelles. A company co-owned by Dangote and Dantata, MRS Oil and Gas Co. Limited, also bought shares in the Seychelles-based company at the same time. The trio ceased to be shareholders in Ovlas S.A. in 2006, according to the leaked Mossack Fonseca files, but it appears that the three simply sold the shares back to themselves. In 2009, Dangote finally ceased to be a shareholder, but apparently sold his shares to Dantata and MRS. The trio reportedly repeated a similar practice by purchasing shares in another Seychelles-based company, Petrowest S.A., also in 2003, before apparently re-selling the shares to themselves in 2006. In a confusing turn of events, the shareholders filed to change the name of Ovlas S.A. to Petrowest S.A. in 2011. Dangote was also linked to two other shell companies based in Panama—SID Holdings Corp and Chalmers Shipping Inc—and another based in the Seychelles, Paseo Trading Ltd, according to the investigation. Despite such denials, however, the alleged links are likely to raise questions for Dangote, whose group is currently undertaking a $14 billion project to build an oil refinery in Lagos that has been touted as the solution to Nigeria’s fuel crisis. Dangote was born in the northern Nigerian city of Kano and has previously expressed an interest in taking over English football club Arsenal. He is held in high regard in Nigeria and aided the government’s response to the Ebola virus, with his group donating $150 million in 2014 to stop the deadly virus spreading in the West African nation. Dangote has, however, previously faced scrutiny following the Swiss Leaks scandal of February 2015. A leak from HSBC’s Swiss subsidiary revealed that scores of high-profile world figures were operating secretive accounts with the bank to evade tax. Dangote was found to have opened an account with HSBC’s Swiss arm in 2003 and the account was registered to a company located in the British Virgin Islands, though it was never proven that Dangote used the account to evade tax.